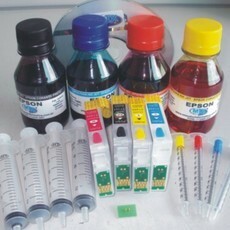 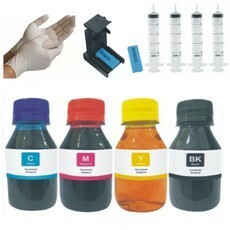 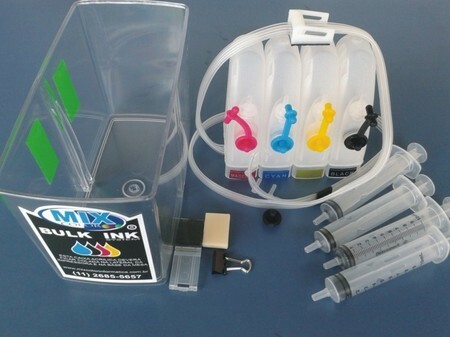 KIT CONTÉM: TANQUE DE TINTA COM MANGUEIRAS JÁ CONECTADAS COM BICO INJETOR - SUPORTE DE ACRILICO - CLIPES PARA MANGUEIRAS - 1 SNAP FILL - 1 SERINGA PARA PRESSURIZAÇÃO - 1 BROCA (DRILL) CD COM MANUAL DE INSTALAÇÃO DETALHADO - COM ESTE SISTEMA OS CARTUCHOS ORIGINAIS FICARAO PERMANENTES INSTALADOS NA IMPRESSORA. 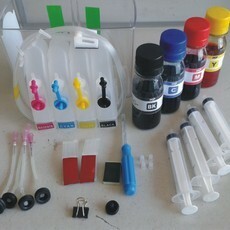 OS CARTUCHOS SÃO ADAPTADOS E INTERLIGADOS À MANGUEIRAS DE SILICONE AS QUAIS SÃO CONECTADAS A RESERVATORIOS EXTERNOS DE TINTA COM CAPACIDADE DE 50ML CADA COR, ACONSELHAMOS A UTILIZAÇÃO DE CARTUCHO ORIGINAL OU USADO MAS QUE NUNCA FORAM RECARREGADOS (REMANUFATURADOS). 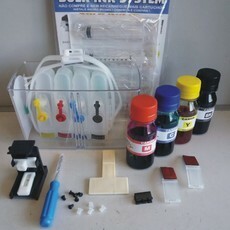 OS CARTUCHOS TERÃO A VIDA ÚTIL MULTIPLICADA POIS ESTARÃO SEMPRE CHEIOS DE TINTA GARANTIA: 3 MESES (ADQUIRINDO NOSSAS TINTAS) ATENÇAO: PARA OS CLIENTES QUE COMPRAREM SEM TINTA NÃO GARANTIMOS O FUNCIONAMENTO.